Sports have been considered beneficial for the better fhnetioning of an individual. Indulgence in sports activities is rich and rewarding experience. However athletes who are involved in competitive sports as well as academics tend to experience greater amount of mental strain that has negative impact on their performance in the field. Therefore, it is important that focus should be given on mental health of student athletes. While efforts have been directed towards reducing the mental distress experienced by student athletes, there is comparatively lesser attention paid towards enhancing their mental health. The application of positive psychology in the field of sports has given due consideration to importance of positive mental health among athletes. Positive mental health has been found as one of the most important factor that facilitates the cognition and assists in effectively handling the multiple demands experienced by athletes. However, there is a dearth of literature with regard to significance of positive mental health among student athletes. The purpose of the present paper was to highlight the importance of positive mental health among student athletes. Positive Psychology, Positive Mental Health, Student Athletes, Well-Being. Biddle, S. J. H., Mutrie, N., & Gorely, T. (2015). Psychology of physical actvitiy: Determinants, well-being and interventions (3rd ed). New York: Routledge. Boehm, J. K., Peterson, C., Kivimaki, M., & Kubzansky, L. (2011). Aprospective study of positive psychological well-being and coronary heart disease. Journal of Health Psychology, 50(3), 259-267. Broughton, E., & Neyer, M. (2001). Advising and counselling student athletes. New Directionsfor Student Services, 93(2), 47-53. Chopra, P. (2009). Mental health and the workplace: Issues for developing countries. InternationalJournal of Mental Health System, 3(4), 1-9. Crocker, P. R. E., & Graham, T. R. (1995). Coping by competitive athletes with performance stress: Gender differences and relationships with affect. Sport Ps^ychologist, 9(3), 325-338. Dale, G. A., & Robbins, J. E. (2010^. It's a mental thing: Five keys to improving performance and enjoying sport. Durham, NC. Excellence in Performance. Dehkordi, A.G. (2011). The comparison between athlete females and non-athlete females regarding to general health, mental health, and quality of life. Procedia Social andBehavioral Sciences, 15,1737-1741. Delle Fave, A., Massimini, F., & Bassi, M. (2011). Hedonism and eudaimonism in positive psychology. In A. Delle Fave (Ed. ), Psychological selection and optimal experience across cultures: Social empowerment through personal gro-wth (Vol. 2, pp. 3-18). New York: Springer. Diener, E., Diener, M. (1995). Cross cultural correlates of life satisfaction and self QsXQQm.. Journal of Personality and Social Psychology, 68,653-663. Diener, E. D. (1984). Subjective well-being. Psychological Bulletin, 95(3), 542-575. Donohue, B., Covassin, T., Lancer, K., Dickens, Y., Miller, A., Hash, A., & Genet, J. (2010). Examination of psychiatric symptoms in student athletes. The Journal of General Psychology, 131(), 29-35. Dubuc-Charbonneau,N., & Durand-Bush, N. (2015). Moving to action: The effects of a self-regulation intervention on the stress, burnout, well-being, and self-regulation capacity levels of university student-athletes. Journal of Clinical Sport Psychology, 9(2), 173-192. Eisenberg, D., Golberstein, E., & Hunt, J. B. (2000). Mental health and academic success in college. The B.E. Journal of Economics Analysis and Policy, 9(1), 1935-1682. Etzel, E. F., Watson, J. C., Visek, A. J., & Maniar, S. D. (2006). Understanding and promoting college student-athlete health: Essential issues for student affairs professionals of college student-athlete health. National Association of Student Personnel Administrators Journal, 45(3), 518-546. Fredrickson, B. L. (1998). What good are positive emotions? Review of general psychology. Special Issue: New Directions in Research o~n E-motion, 2(3), 300-319. Fredrickson, B.L. (2001). The role of positive emotions in positive psychology: The broaden-and-build theory of positive emotions. American Psychologist, 56,218-226. Gulliver, A., Griffiths, K. M., Mackinnon, A., Batterham, P. J., & Stanimirovic, R. (2015). The mental health of Australian elite athletes. Journal of Science and Medicine in Sports, 18(3), 255-261. Hardy, L., Jones, G., & Gould, D. (1996). Understanding psychological preparation_for sport. Chichester: Wiley. Hosseini, S. A., & Beshara, M. A. (2010). Relation of resilience with sport achievement and mental health in a sample of athletes. Procedia Social and behavioral Sciences, 5, 633-638. Hysenbegasi, A., Hass, S. L., & Rowland, C. R. (2005). The impact of depression on the academic productivity of university students. .Journal of Cental (Health Policy and Economics, 8(3), 145-151. Kallus, K. W., & Kellmann, M. (2000). Burnout in athletes and coaches. In Y. Hanin (Ed. ), Emotions in sport (pp. 209-230). Champaign, IL: Human Kinetics. Kessler, R.C., Berglund, P.A., Bruce, M.L., Koch, J.R., Laska, E.M., Leaf, P.J., Manderscheid, R.W., Rosenheck, R.A., Walters, E.E., & Wang, P.S. (2001). The prevalence and correlates of untreated serious mental illness. Health Service Research, 5d(l), 987-1007. Keyes, C. L. M. (2002). The mental health continuum: From languishing to flourishing inlife. 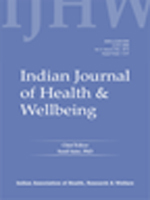 Journal of Health a-nd Social Research, 43(2), 207-222. Keyes, C. L. M. (2007). Promoting and protecting mental health as flourishing: A complementary strategy for improving national mental health. The American Psychologist, 62(2), 95-108. Keyes, C. L. M., Dhingra, S. S., & Simoes, E. J. (2010). Change in level of positive mental health as a predictor of future risk of mental illness. The American .Journal of Public Health, 100(l2),2366-237l. Kissinger, D. B., & Miller, M. T. (2009). College student-athletes: Challenges, opportunities, and policy implications. United States: Information age publishing, INC.
Lane, A. M., Devonport, T. J., Soos, I., Karsai, I., Leibinger, E., & Hamar, P. (2010). Emotional intelligence and emotions associated with optimal and athletic performance.Joumal of Sports ScienceandMedicine, 9(3), 388-392. Lundqvist, C., & Sandin,F. (2014) Well-being in elite sport: Dimensions of hedonic and eudaimonic well-being among elite orienteer. The Sport psychologist, 28(3), 245254. Malina, R. M. (2010). Early sport specialization: Roots, effectiveness, risks. Current Sports Medicine Repository, 9(6), 364-371. Mann, A., & Namla, B. (2017). Positive psychology in sports: An overview. International Journal of Social Science Citation, 6(2), 153-158. Morgan, W. P. (1985). Selected psychological factors limiting performance: A mental health model. InD. H. Clarke andH. M. Eckeri (Eds. ),Limits of human perfor-mance (pp. 70-80). Champaign. IL: Human Kinetics. Nicholls, A. R.,Remco, C. J., Andrew, P. B., & Levy,R. (2012). Apath analysis of stress appraisals, emotions, coping, and performance satisfaction among athletes. Psychology of Sport and Exercise, 13, 263-270. Nixdorf, I., Frank, R., Hautzinger, M., & Beckmann, J. (2013). Prevalence of depressive symptoms and correlating variables among German elite athletes. Journal of Clinical Sport Psychology, 7(4), 313-326. Ntoumanis, N., & Biddle, S. J. H. (1998). The relationship of coping and its perceived effectiveness to positive and negative effect in sport. Personality and Individual Differences, 24, 773-788. Park, N., Peterson, C., Seligman,M. E. P. (2004). Strengths of character and well-being. Journal of Social and Clinical Psychology, 25(5), 603-619. Pinkerton, R., Hinz, L., & Barrow, J. (1989). The college student athlete: Psychological considerations and interventions. .Journal of American College Health, 57(5), 218226. Proctor, S. L., & Boan-Lenzo, C. (2010). Prevalence of depressive symptoms in male intercollegiate student-athletes and non athletes. Journal of Clinical Sport Psychology, 4(3), 204-220. Raglin, J. (2001). Psychological factors in sport performance: The mental health model revisited. Journal of Sports Medicine, 57(12), 875-890. Reese, L. S.,Pittsinger, R., & Yang, J. (2012). Effectiveness of psychological intervention following sport injury. Journal ofSport and Health Science, 1(2), 71-79. Rice, S. M., Purcell, S., Silva, S. D., Mawren, D., McGorry, P. D., & Parker, A. G. (2016). The mental health of elite athletes: A narrative systematic review. Sports Medical,46, 1333-1353. Ryan, R. M., & Deci, E. L. (2001). On happiness and human potentials: A review of research on hedonic and eudaimonic well-being. AnnualReview of Psychology, 52, 141-166. Ryff, C.D. (1989). Happiness is everything, or is it? Explorations on the meaning of psychological well-being. Journal of Personality and Social Psychology, 57(6), 1069-1081. Ryff, C. D., & Keyes, C. L. M. (1995). The structure of psychological well-being revisited. Journal of Personality and Social Psychology, 69(4), 719-727. Scheier, M. F., & Carver, C. S. (1985). Optimism, coping, andhealth: Assessment and implications of generalized outcome expectancies. Journal of Health Psychology, 4(3),219-47. Secades,X. G.,Molinero, O., Salguero, A., Barqui'n, R. R., Vega,R. D. L., &Ma'rquez, S. (2016). Relationship between resilience and coping strategies in competitive sport. PerceptualandMotorSkills, 722(1), 336-349. Selby, R., Weinstein, H., & Bird, T. (2010). The health of university athletes: Attitudes, behaviors and stressors Journal of American College Health, 39(1), 11-18. Sguizzatto, G. T., Garcez-Leme, L. E., & Casimiro, L. (2006). Evaluation of the quality of life among elderly female athletes. 13ao Paulo Medical Journal, 124(5), 304-305. Smith, L. L. (2004). Tissue trauma: The underlying cause of overtraining syndrome. Journal of Strength and Conditioning Research, 75(1), 185-193. Snyder, A. R., Martinez, J. C.,Bay,R. C., Parsons, J. T., Sauers, E. L., & McLeod, T. C. V. (2000). Health-related quality of life differs between adolescent athletes and adolescent nonetheless. Journal of Sport Rehabilitation, 7P(3), 237-248. Steadman, B. K. (IQW). Ashort stress coping intervention infemale collegiate student- athletes. Retrieved January 28,2016 ffomhttp://digitalcommons.usu. Storch, E. A., Storch, J. B., Killiany, E. M., & Roberti, J. W. (2005). Self-reported psychopathology in athletes: A comparison of intercollegiate student-athletes and non-athletes. Journal of Sport Behavior, 25(1), 86-89. Surujlal, J., Zyl, Y. V., & Nola, V. T. (2013). Perceived stress and coping skills of university student-athletes and the relationship with life satisfaction. African Joumal_for Physical Activity and Health Sciences, 19(4), 1047-1059. Tabeian, H., Zaravar, F., Shokrpour, N., & Baghooli, H. (2013).The impact of mental happiness on the athletic success. British Journal of Arts and Social Sciences, 75(1), 75-84. Tamminen, K. A., Crocker, P. R. E., & McEwen, C. E. (2016). Emotional experiences and coping in sport: How to promote positive adaptational outcomes in sport. In R. Gomez, R. Resende, and A. Alberquerque (Eds. ), Positive human_functioning_from a multidimensional perspective (pp.43-62). New York: Nova Science. Walker, N., Thatcher, J., & Lavallee, D. (2007). Psychological responses to injury in competitive sport: A critical review. Journal of Royal Society for Promotion of Health, 727(4), 174-180. Westerhof, G.J., & Keyes, C.L.M. (2010). Mental illness and mental health: The two continua model across the life span. Journal of Adult Development, 77(2), 110-119. Wilson, G., & Pritchard, M. (2005). Comparing sources of stress in college student athletes andnon-athletes.Athletic Insights, 7(1), 1-8. Wolanin, A., Hong, E., Marks, D., Panchoo, K., & Gross, M. (2016). Prevalence of clinically elevated depressive symptoms in college athletes and differences by gender and sports. British Joumal of Sports Medicine, 50(3), 167-171. Woo, J. M., Kim, W., Hwang, T. Y., Frick, K. D., & Choi, B.H., Seo, Y. J., & Park, Y.L. (2011). Impact of depression on work productivity and its improvement after outpatient treatment with antidepressants. Value in Health, 74(4), 475-482. Yang, J., Peek-Asa, C., Corlette, J. D., Cheng, G., Foster, D. T., & Albright, J. (2007). Prevalence of and risk factors associated with symptoms of depression in competitive collegiate student athletes. Clinical Jour~nal of Sports Medicine, 17, 481-487. Younes, M. S. (2011). Towards a positive sport psychology: A prospective investigation in physical practice. World Journal of Sport Sciences, 4(2), 104-115.